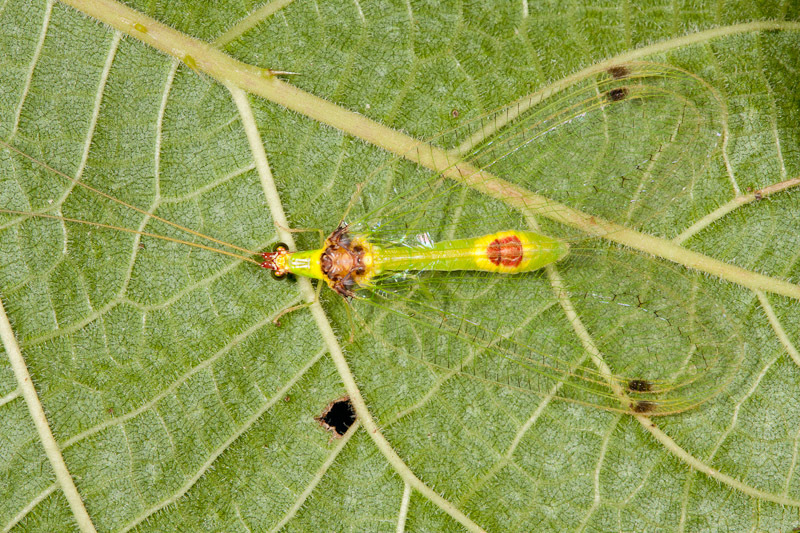 Most lacewings are nondescript. So when I spotted this one on the underside of a leaf, I couldn’t pass it up. The markings are not unlike some Leucochrysa species here in the US.